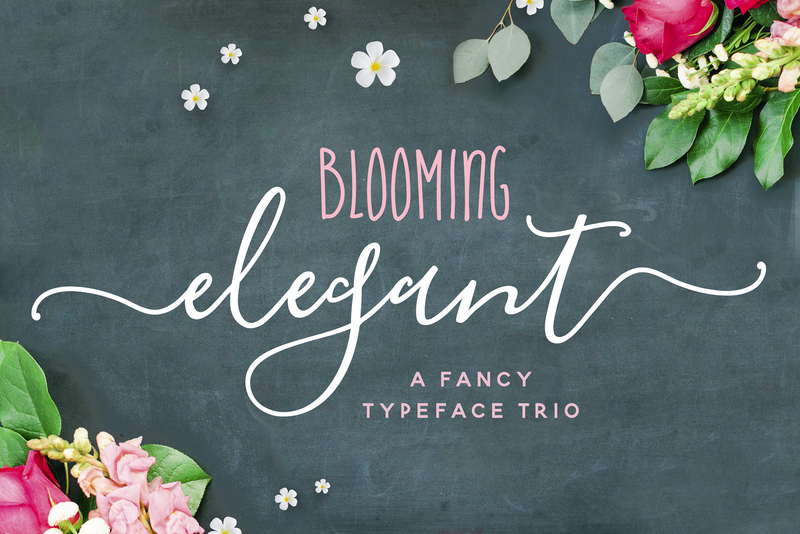 Blooming Elegant is a delightful calligraphy font trio created and published by Nicky Laatz, a popular Port Elizabeth (South Africa) based lettering, typography and graphic designer. Consisting of three fonts designed to compliment each other perfectly, Blooming Elegant also comes with a complimentary BONUS of over 120 free hand doodled illustrations that will fit seamlessly into your designs. This guarantees to make your text stand out, making it perfect for logos, printed quotes, invitations, cards, product packaging, headers and whatever your imagination holds. Make Blooming Elegant designs! A font description published on Friday, February 26th, 2016 in Fonts, Nicky Laatz by Andrei that has 9,068 views.